The one who loves silver is never satisfied with silver, and whoever loves wealth is never satisfied with income. This too is futile. When good things increase, the ones who consume them multiply; what, then, is the profit to the owner, except to gaze at them with his eyes? The sleep of the worker is sweet, whether he eats little or much, but the abundance of the rich permits him no sleep. There is a sickening tragedy I have seen under the sun: wealth kept by its owner to his harm. That wealth was lost in a bad venture, so when he fathered a son, he was empty-handed. As he came from his mother’s womb, so he will go again, naked as he came; he will take nothing for his efforts that he can carry in his hands. This too is a sickening tragedy: exactly as he comes, so he will go. What does the one gain who struggles for the wind? What is more, he eats in darkness all his days, with much frustration, sickness, and anger. I’m a sucker for a good movie. I enjoy believable acting, storylines that are unpredictable, and a good, “didn’t see that coming!” or two. 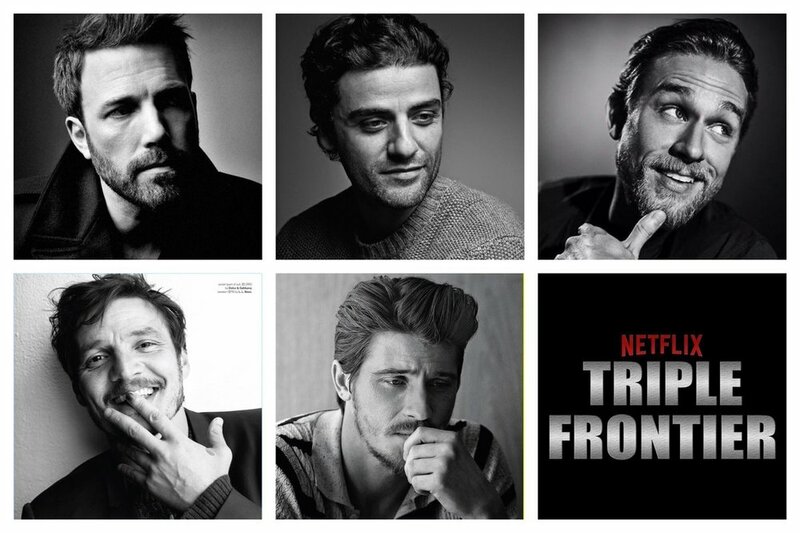 I was browsing Netflix the other day for something to watch, and I came across the Netflix Original, Triple Frontier. It looked interesting, so I watched the trailer. Earlier that morning, I had been reading Ecclesiastes 5:8-17, the verses that followed the text I preached last week as part of our Life Under The Sun series (Ecc 5:1-7). I watched the trailer for Triple Frontier and the voice-over struck a familiar chord. I grabbed my Bible to re-read those verses. Triple Frontier is a movie about five friends, and former members of the same military unit, that reunite for one huge undercover job. A drug lord in Brazil is holed up in the jungle with piles and piles of money, and although he’s been successfully hiding from authorities for years, someone has finally infiltrated his ranks and revealed his location. The group of five men aims to move deep into the jungle, murder the drug lord, and steal his money. Surprisingly, everything goes pretty much according to plan… until greed sets in. There’s a lot more money in the house than they originally thought, and they have trouble deciding when enough is enough. And that’s when things really start to go haywire. In their greed and the fear of losing what they have, both the drug lord and those who heist the money from him have to continuously watch their back, because once you have a pile of loot, a lot of people are coming for it one way or another. The futility of all that, the Teacher in Ecclesiastes would say, is that instead of being able to enjoy your wealth by spending it on things you want, you end up just trying to guard it so it doesn’t get taken! I won’t ruin the movie for you at this point, but the Teacher is sick to his stomach when a person who loves money loses all of his wealth in a bad venture. It’s sickening because it’s an avoidable tragedy. If you’re losing all of your wealth in a bad venture, it usually means you weren’t satisfied with what you had so you reached for more — only to lose it all and wind up completely empty-handed with nothing to show for your efforts! What a waste! Greed is a killer. Not just in the movies where people guarding the money have to die so others can take it. Greed kills relationships. It kills contentment, peace, and joy. Families have been ruined. Wisdom and reason are forced out. Greed is unbelief in a God who generously provides for our every need, who takes care of the sparrows and clothes the wildflowers. It’s unbelief in a God who has richly blessed us with every spiritual blessing in the heavenly places in his son Jesus. Greed is unbelief, but at its core, greed is idolatry. It is placing money above God, trusting what money can do for you more than what God can do for you, and seeking the benefits of money more than the benefits of God’s presence. To be greedy is to ask money to be for you what only Jesus can be for you. To be greedy is to ask money to be for you what only Jesus can be. Triple Frontier is rated R for violence and language, but if you’re okay with both of those, watch the movie with Ecclesiastes 5 open, and see the Teacher’s words played out right in front of you.